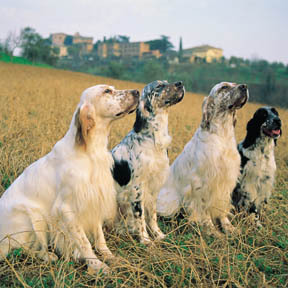 Elegant and athletic, the English Setter is a dog whose appearance is very much inline with his gun dog heritage. The head is long and has a pronounced stop; the top of the skull, top of the muzzle and bottom of the jaw are parallel. The muzzle is long and square, topped with a dark brown or black nose, and housing scissors bite jaws. Ears are low and set back, and eyes are dark brown, with what some have called a concerned expression. The neck, chest and body are strong and lean, and the tail is carried even with the topline, which is either level or slightly sloped toward the rear. The coat is flat with abundant feathering. The coats ground color is always white, and can be covered either with flecks of black, blue, liver, orange or lemon, or can display a tricolor pattern. Common Misspellings Englesh Setter, English Sitter or English Settur. Setters from field lines especially love to run, hunt and play. They will pounce at the chance to go outside, and can become rambunctious and hyperactive if kept in the house too long. Dogs from show lines are more laid back and make better companions for less active people. Regardless of line, however, all English Setters love children, pets and other dogs. Because of this, the dog is not ideally suited to guard dog work, but its boisterous and energetic personality make it a great watch dog. The dog is fairly hardy and can live outside, but it much prefers to live indoors with its family. The long, feathery coat needs a twice weekly brushing, as well as a good trim every few months. Regular inspection of eyes, ears and feet is also a good idea. 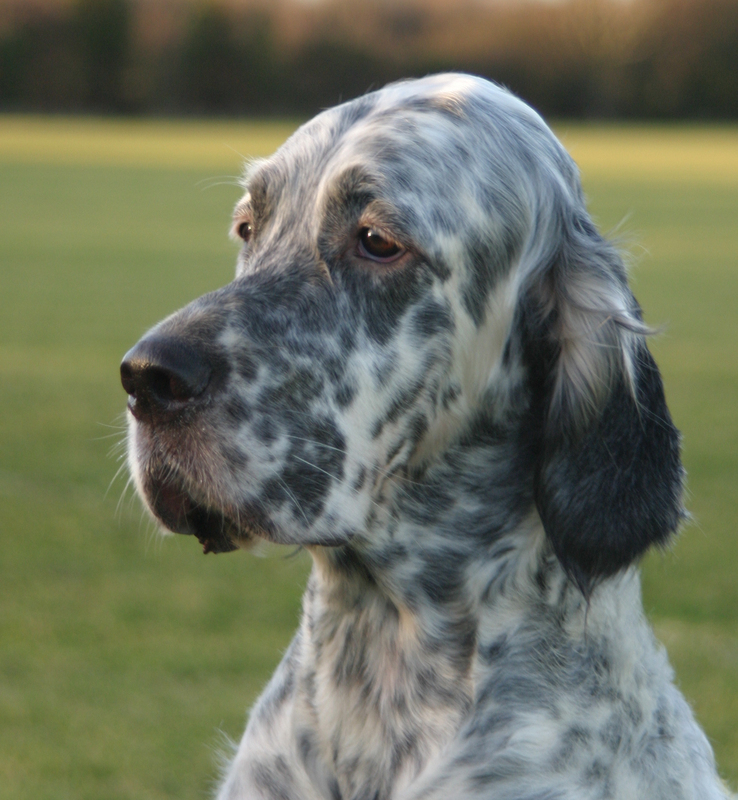 Hereditary health concerns for the English Setter include deafness, canine hip and elbow dysplasia, hypothyroidism and, on rare occasions, progressive retinal atrophy. 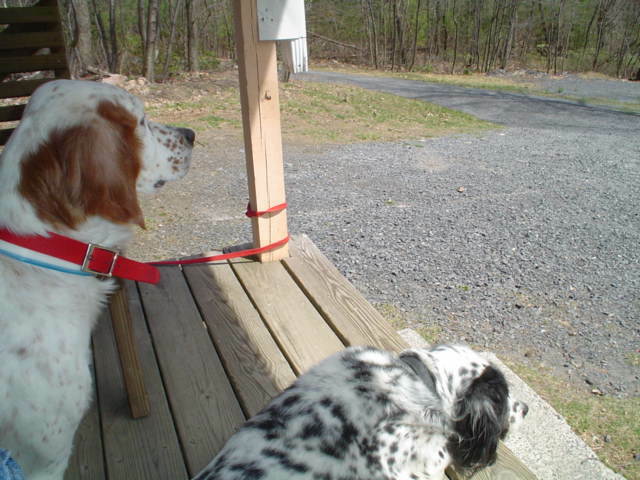 So called because the dog would naturally crouch, or set, when it spotted game, the English Setter has been used as a hunting dog for a very long time, perhaps as far back as the 13th century.In 1825, an Englishman by the name of Edward Laverack began a 35-year quest to turn the English Setter into a recognizable pure breed. 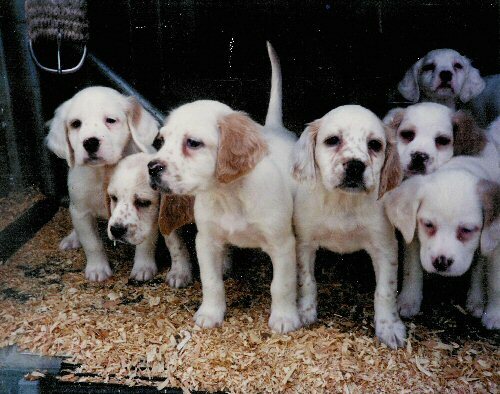 His efforts attracted the attention of another breeder, Purcell Llewellin, who took some of Laveracks setters and concentrated on cultivating the dogs field abilities. 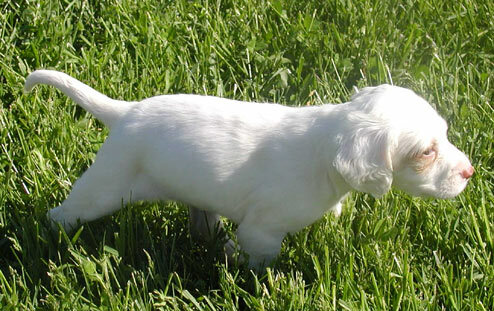 Llewellin was so successful in this endeavor that the English Setter eventually came to be seen as having two distinct classes: Laveracks show setters were prized for their looks and elegance, while Llewellins field setters excelled at hunting and field work. 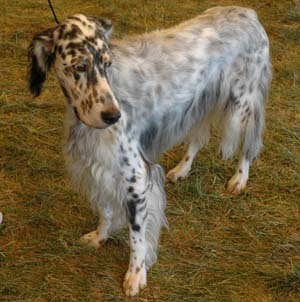 The English Setter was imported to the United States during the latter half of the 19th century and recognized by the American Kennel Club in 1878. 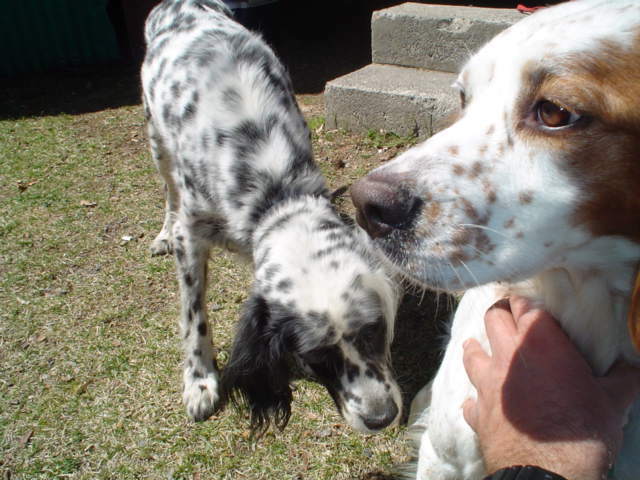 Though never a superstar in North America, the English Setter has been a fairly common fixture on this side of the Atlantic for well over a century.